We love new boots, but like many others we can't help getting nostalgic at the thought of older boots. Football boots with a history and pedigree. 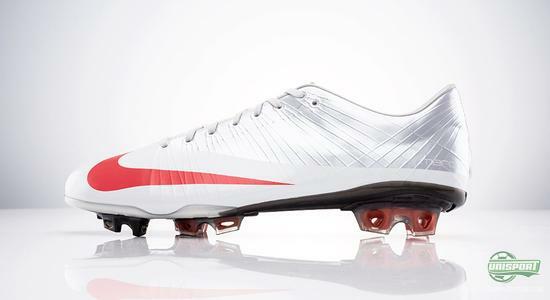 In this bracket it is hard to go around the boots in the iconic Nike Mercurial-collection, which this year turns 15. We have throughout the years gathered some of the most groundbreaking models, in what we call The Mercurial Archive. Nike's Mercurial-collection has not looked back, since it in 1998 stormed onto the boot market at the feet of the legendary Brazilian Ronaldo. 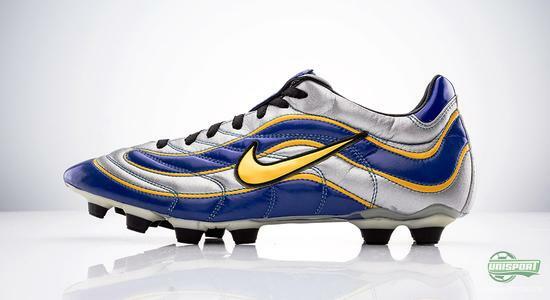 We take a step back and check out the the memorable boots, which the Mercurial-collection has brought us, all this in The Mercurial Archive, where you are sure to bump into some old acquaintances. 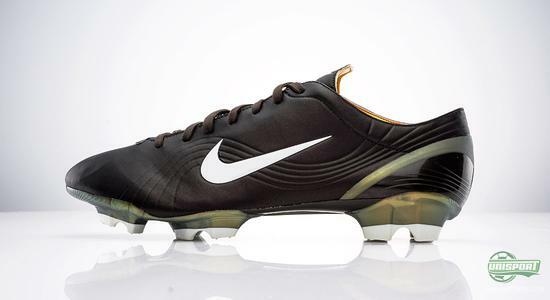 It all started with Nike Mercurial R9, which was developed for the Brazilian Ronaldo with the focus firmly on creating the lightest football boot ever. The iconic boot was enormously successful and would be the start of 15 Years of Speed, where the Mercurial-collection has been an integral part of the boot markets constant evolution. Nike have never been known for resting on their laurels and it would not be long, before they again took another bold step forward. In 2002 they brought out the first Nike Mercurial Vapor and voila; a legend was born. With a weight of just 196 grams, it was the first any boot crept underneath the famed 200 grams. This naturally attracted a massive amount of stars, among them Ronaldo, Ruud van Nistelrooy and Thierry Henry. After several prosperous and successful years it was time for a change in the Mercurial-collection and in stepped the Nike Mercurial Vapor Superfly. An ultralight, toptuned version of the Vapor V, which weighed an astounding 185 grams and gave you a full carbonfibre sole, as well as innovative technology like Flywire, which give stability to the thin Teijin-microfibre upper. Fast forward to present day and we have now moved all the way to the Nike Mercurial Vapor IX, which builds on the popular VIII. A weight of 185 grams, ACC and Speed Control on the upper are some of the biggest points of the boot, which is worn by stars like Cristiano Ronaldo, Mario Götze and the Danish prodigy Christian Eriksen. 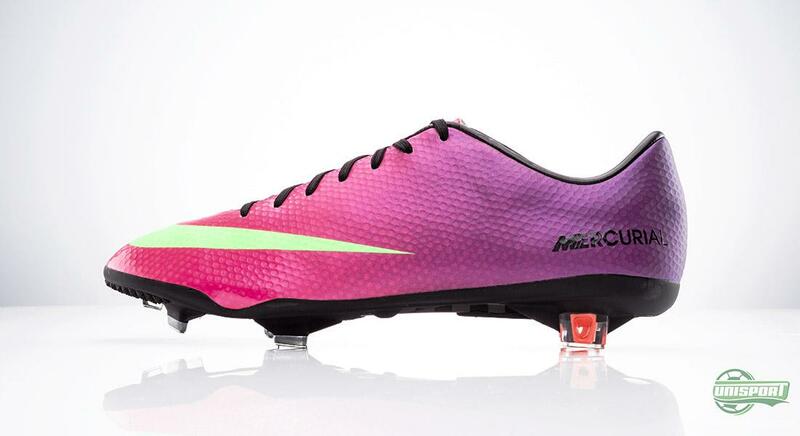 Vapor IX was introduced in 2013, 15 years after the first ever Mercurial. On Thursday the 2nd of May we launch The Mercurial Archive, where you can find out more about the Legendary collection. 15 years of speed. 15 years of crazy colourways, fantastic technology and massive stasrs in great boots. What do you say to the quick throwback? And are you looking forward to seeing all of The Mercurial Archive, when we unveil it on Thursday? Let us know in the box down below.